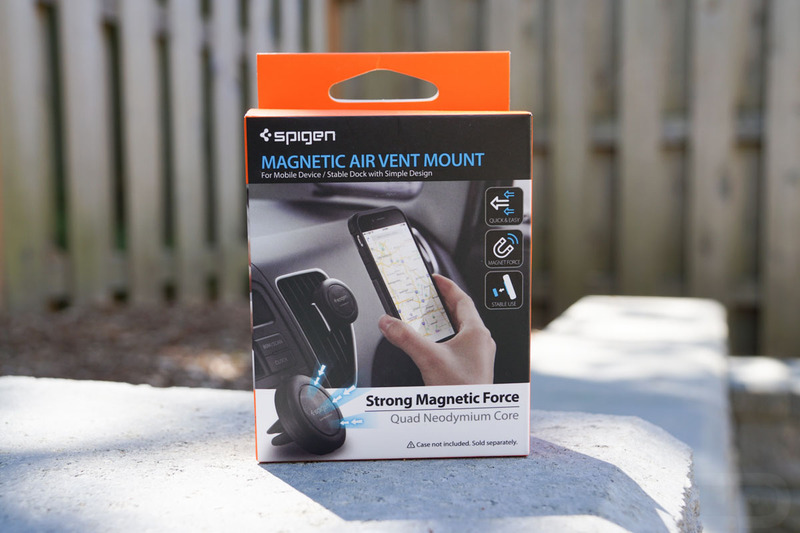 A couple of weeks ago, a reader of ours suggested we check out the Spigen Air Vent Magnetic Car Mount for use with our Galaxy S7 because not only is it a super inexpensive product from a reputable company, it works best with the latest Galaxy S phones because it does so without any extra magnetic stickers. Let me try and explain that last part. 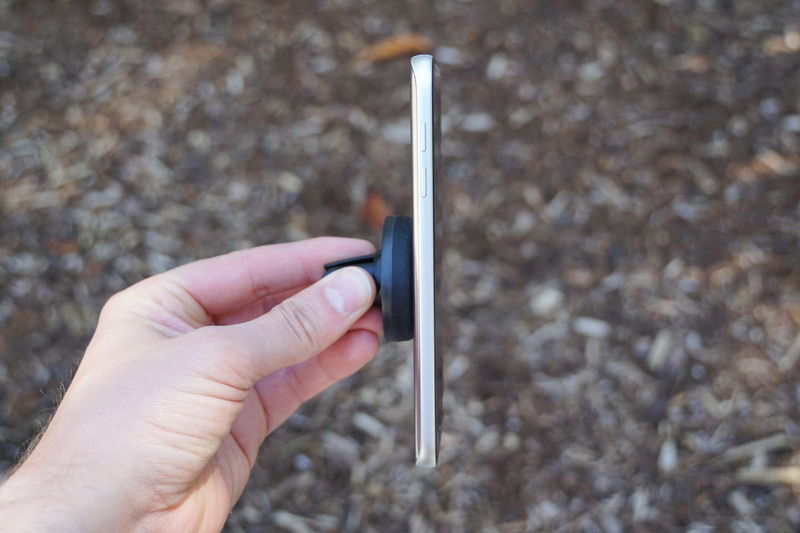 There are tons of these magnetic air vent car mount items on Amazon. They all pretty much work the same too. 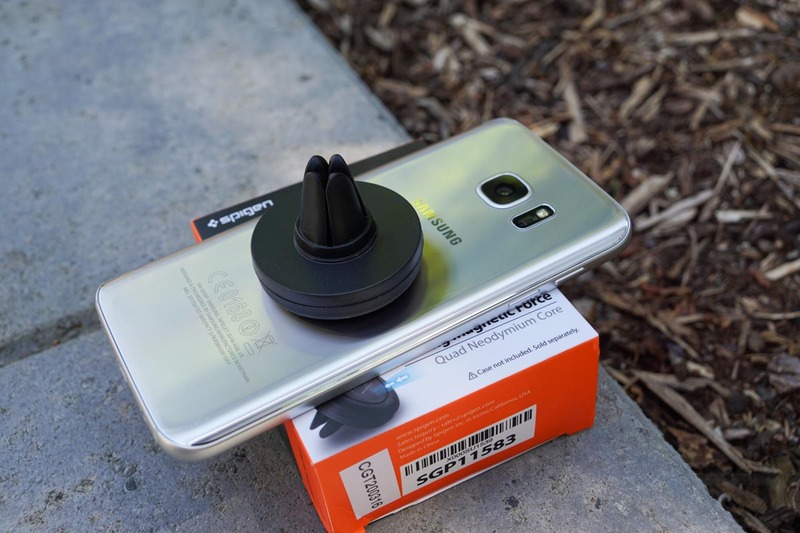 In the box, they include the magnetic car mount that attaches to an air vent, along with magnetic stickers that you apply to the back of your phone or case, or whatever to allow it to attach to the mount. 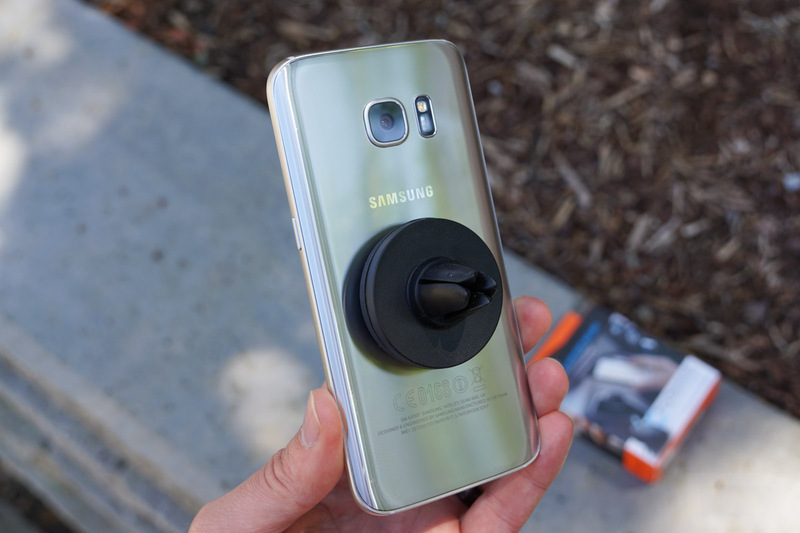 But the thing is, the Galaxy S7, S7 Edge, S6, S6 Edge(+ too), and Note 5 all have magnetic magic working inside them already, likely because of their wireless charging capabilities. In other words, you don’t need those terrible stickers! These phones just stick right on the damn thing. So with any of these phones, all you need to do is slap them onto the Spigen car mount and be on about your way. It’s the simplest little accessory that helps you go hands-free in your car for just a few bucks. I’ve been using one for a couple of weeks now and had to order another, because my wife stole the original one for her car because she also thought it was pretty awesome. While it’s not the ultimate magnetic gripping accessory that will hold on until you tell it to let go, it has yet to fall off while in use as I have driven around Portland. You also get the added flexibility of putting your phone on it in any position. Oh and speaking of price, this little guy costs just $6.99 and comes with Prime shipping, if you are a member. How can you beat that?